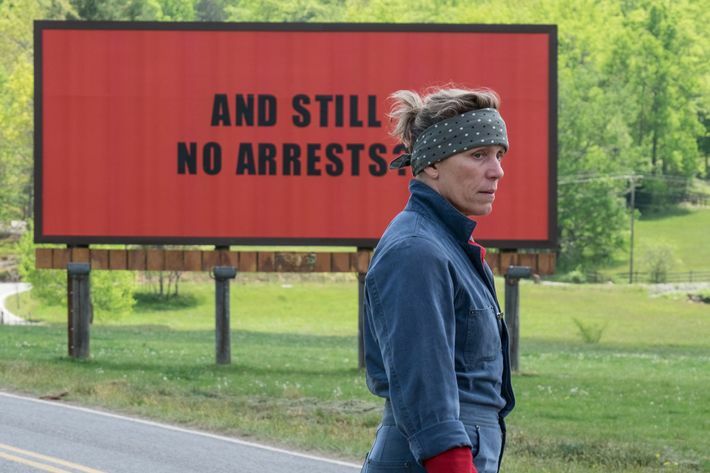 Three Billboards Outside of Ebbing, Missouri: "Whether she’s cussing at the local priest, offering tenderness in a grim moment, or kicking a teen vandal square in the crotch, McDormand commands the screen and plays her audience like a fiddle, stroking our outrage, tugging at our heartstrings, and coaxing screams of reckless laughter." Murder on the Orient Express: "a lethally dull and ugly movie that possesses all the suspense of a damp hand towel." Mayhem: "This movie has a mean streak a mile wide...And on top of that, there’s an overgenerous supply of juvenile and sexist nonsense."